Why do you want to be a wizard?So that one day I can be a teacher at Hogwarts.So I can defend myself when I get attacked.So I can use magic to create chaos and mayhem.So I can learn the mysteries of the magic world.So I can be a confident and strong person.So I can attract pretty girls with my spells.So I can protect the citizenry from any threat.So I can be remembered as one of the greatest wizards ever.What is your strongest emotion?AngerLoveSorrowJoyFearCourageEnvyKindnessFavorite Hogwarts subject?TransfigurationHistory of MagicCharmsPotionsDefence Againts the Dark ArtsHerbologyAstronomyYour favorite Hogwarts Professor.Sybill TrelawneyHorace SlughorneRubeus HagridMinerva McgonagallSeverus SnapeRemus LupinDolores Umbridge Albus DumbledoreA Dark Wizard is about to attack you. How do you prevent this from happening?With Expelliarmus, to take his wand!With Avada Kedavra, good riddance!With Confringo, burn baby, burn!With Immobulus, to freeze him still!With Incarcerous, to tie him up!With Protego, so that his spells rebound!With Crucio, To make him suffer!With Stupefy, to knock him out!Which DC's Lantern Corps do you think you belong in?The Green Lantern CorpsThe Blue Lantern CorpsThe Orange Lantern CorpsThe Sinestro CorpsThe White Lantern CorpsThe Red Lantern CorpsThe Star Sapphire CorpsThe Black Lantern CorpsWhat do you want to be remembered by?As an advocate of truth. As a fighter for justice.As a symbol of fear.As a beacon of power.As a plague on humanity.As an achiever of peace.As a loving figure.As a leader of freedom.Which one of these girls will you take to the dance?Luna LovegoodCho ChangPansy ParkinsonFleur DelacourGinny WeaslyPadma PatilLavender BrownHermione GrangerYou embarked on a team project and one of your teammates made a mistake and the project failed. How would you treat him?It wasn't his fault, we were all part of the team.I let him go on amicable terms, nothing personal.I give him a lecture on how to do things next time.I give him words of encouragement so he can better himself.I kick him out in anger, failure is not tolerated.I ridicule him telling everyone about what he did.It doesn't matter, the project was not that important.I tell him that he did good, no matter what.What do you enjoy most about Hogwarts?The exciting Quidditch matches!The food and big banquets, of course!Just chilling with my teammates in my common room!Exploring the castle's hidden rooms and passageways!The dances and group activities!Hanging out in the astronomy tower!Learning secret magic and the dark arts!Seeing all those strange and beautiful creatures!What angers and annoys you the most?People shouting at me and looking down upon me.Getting up early in the morning.Just doing boring endeavors.People not doing what they are told.Bullies who think they are superior than everyone else.Being so hungry, I get really cranky.When someone steals from me or keep secrets from me.People gossiping about things that don't concern them.Which one of the 3 Deathly Hollows would you like to own?The Elder WandThe Cloak of Invisibility The Resurrection StoneAll of them, to be the Master of Death.You and your friends are about to get into an enemy stronghold but there is a giant blocking the way. How do you handle it?We fight him, the 3 of us together!I create a diversion so that my friends can get in.No way, we'll do this some other time.I kill him with a killing curse.We sneak around him when he is sleeping.I do a binding spell so he can't move for a short time.Choose a Greek God.Ares, God of War.Poseidon, God of the Sea.Athena, Goddess of Wisdom.Zeus, God of Thunder.Apollo, God of the Sun.Hades, God of the Underworld.Aphrodite, Goddess of Love.Hermes, God of Thieves. 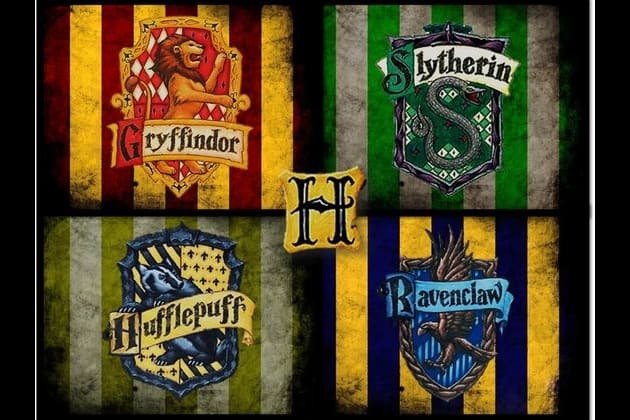 Time to take the Sorting Hat test to see which common room is the one for you!